Don’t let your chips get caught naked! 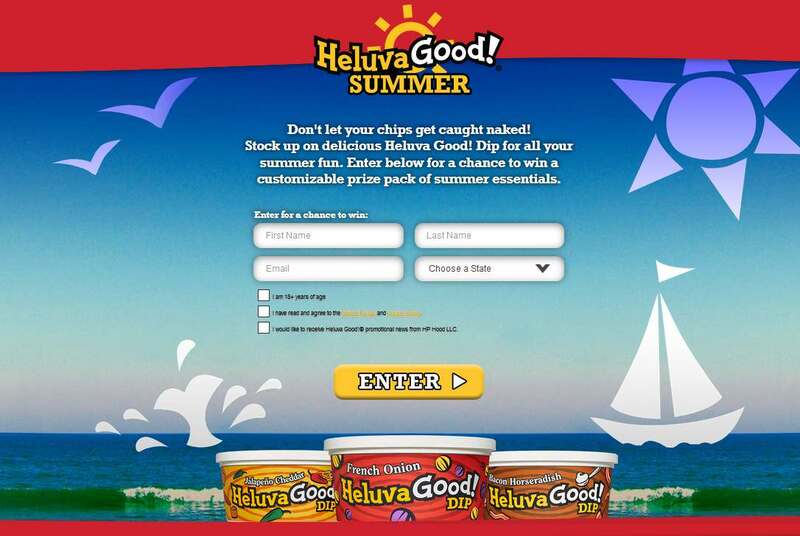 Stock up on delicious Heluva Good! Dip for all your summer fun. Enter below for a chance to win a customizable prize pack of summer essentials. No purchase necessary. Ends 8:59 am ET 7/24/17. 18+ (or age of legal majority) and legal U.S. resident. Void in CA, OR, WA, ID, NV, UT, AZ, NM, AK, HI and where prohibited. Official Rules. This Sweepstakes is in no way sponsored, endorsed or administered by, or associated with, any of the prize manufacturers, retailers or merchants.